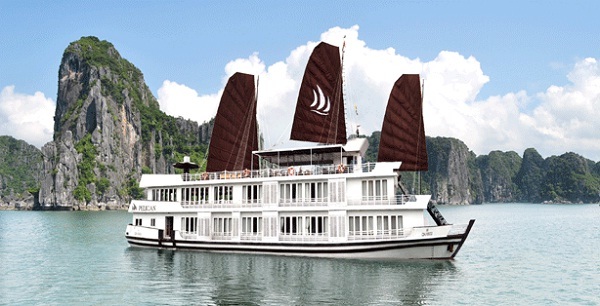 When talking about the best Halong Bay cruise recommendation, you should not miss out Pelican Cruise – A new cruising company launches its services to offer a pioneering new generation of vessels with both uncompromising quality and safety standards. 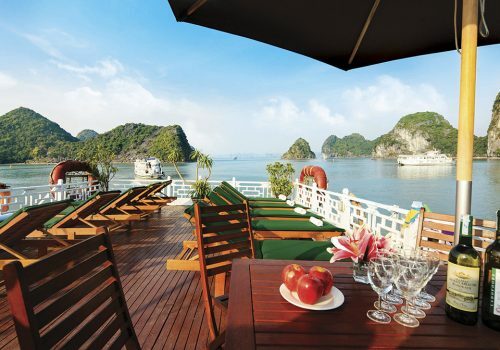 Starting in operation in early 2012, Pelican Cruise is one of the newest and also most modern cruises sailing in Halong Bay. This is also considered one of the most popular cruises in this bay with services and amenities that meet the standard of a 4-star deluxe hotel. 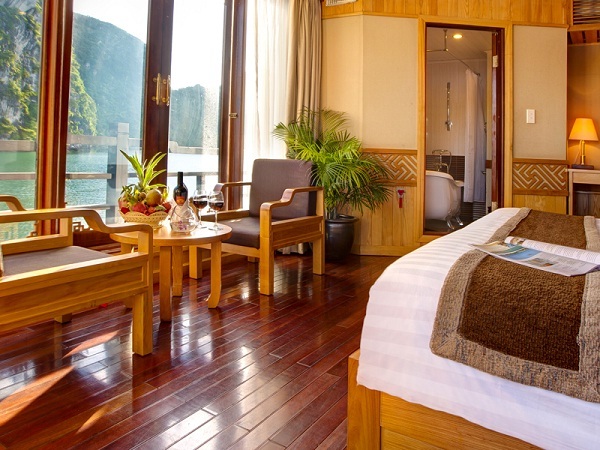 It is estimated that 2 more luxurious cruises of Pelican Line at Halong Bay are projected to be in service in later 2013. All rooms and suites have private bathrooms, a minibar and air conditioning. They are fitted with dark wood furnishings and offer great views of the sea. The suites are spacious and equipped with a bathtub. Moreover, restaurant inside Pelican Cruise is always available to serve passengers delicious dishes which are made from top fresh ingredient under experienced hands of chef there. 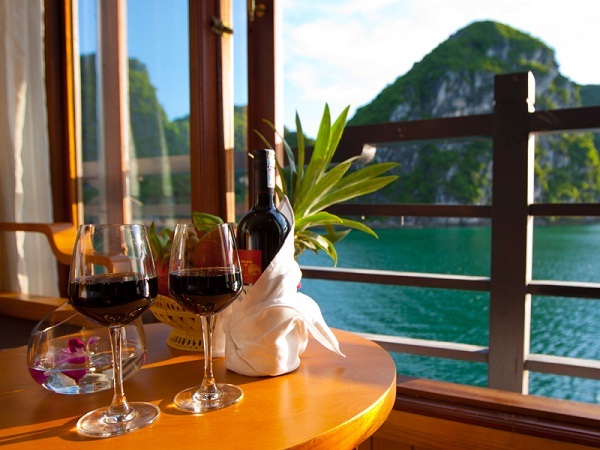 With an inviting atmosphere, Pelican Cruise Restaurant offers about 50 perfect setting for an iconic, dinning exerience. The seasonal menus use the best fresh local ingredients. 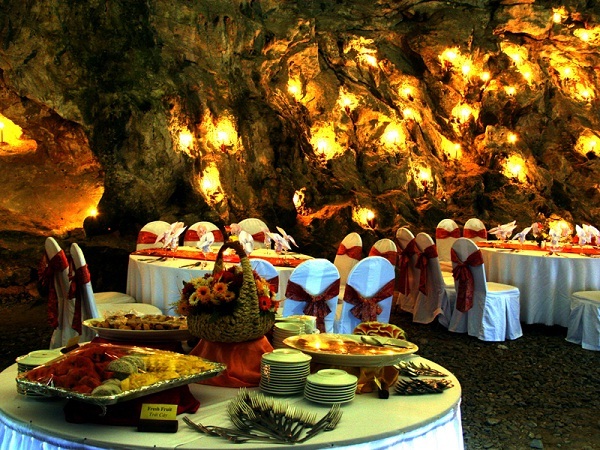 The atmosphere is intimate and the service is always attentive and personalised. 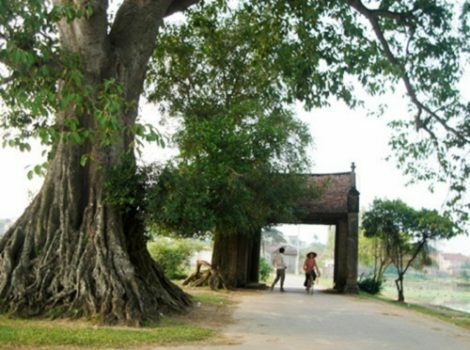 All of their dishes are prepared and cooked freshly on board and reflects seasonal Vietnamese produce. Moreover, let your mind experience total tranquility at the Spa Pelican. Renew yourself with premium beauty and wellness therapies, like hot stone massages, aromatherapy, or full body wraps during your Pelican Luxury Cruise. 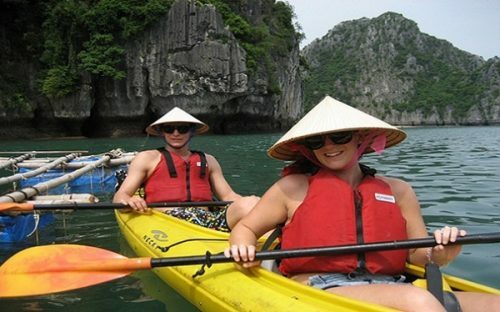 Tourists on this cruise are also given chances to participate in numerous exciting activities and services offered by the cruise, including kayaking, fishing, swimming inside.